5525 Palmerston Cr #54- Condo Townhouse Available in Mississauga! 5525 Palmerston Cr #54 is a gorgeous townhouse in one of Mississauga’s most loved neighbourhoods! This three-bedroom unit has everything you are looking for: trendy dark hardwood flooring, a main floor powder room, plenty of storage, a bright living room with large east-facing windows, a master with a walk-in closet, and a modern kitchen with quartz counter tops and stainless-steel appliances. Relax in the fully-finished basement den, or walk-out to the private backyard patio (perfect for summer entertaining!). You’ll never have to worry about parking with the attached garage, private drive, and visitor’s parking lot. 5525 Palmerston Cr #54 is also walking distance to many parks and trails. Go for a skate or enjoy a quick pick up game with your friends. 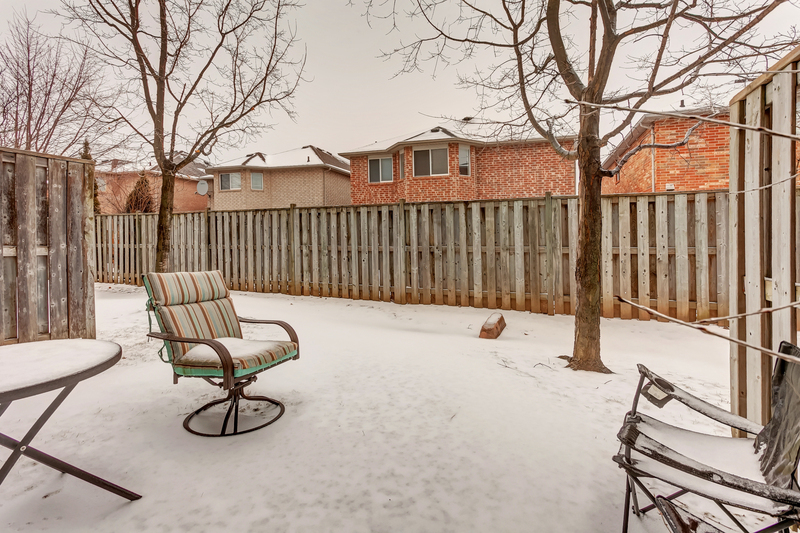 Close to Streetsville GO, major transit lines, shops, and schools!